Party away and enjoy your evening in the city that never sleeps. Come alive at your very own Vegas Casino, our Show Girls will welcome you and your guests with a cocktail in your hand, and you never know even Elvis might make an appearance. All you need to decide is when and where Vegas is going to roll into town. 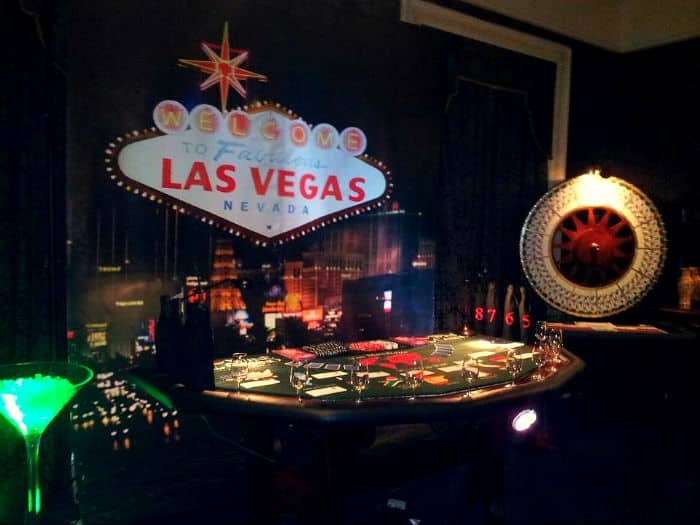 Theme your event and take a trip to Las Vegas with our Props & Theming, with our Las Vegas Backdrop, Giant Cocktail Glasses, Giant Casino Chips, Slot Machines, Red Carpet, Posts & Ropes, Casino Signs, Flame Lights, Vegas Signs, Card Arches and Money Bags. 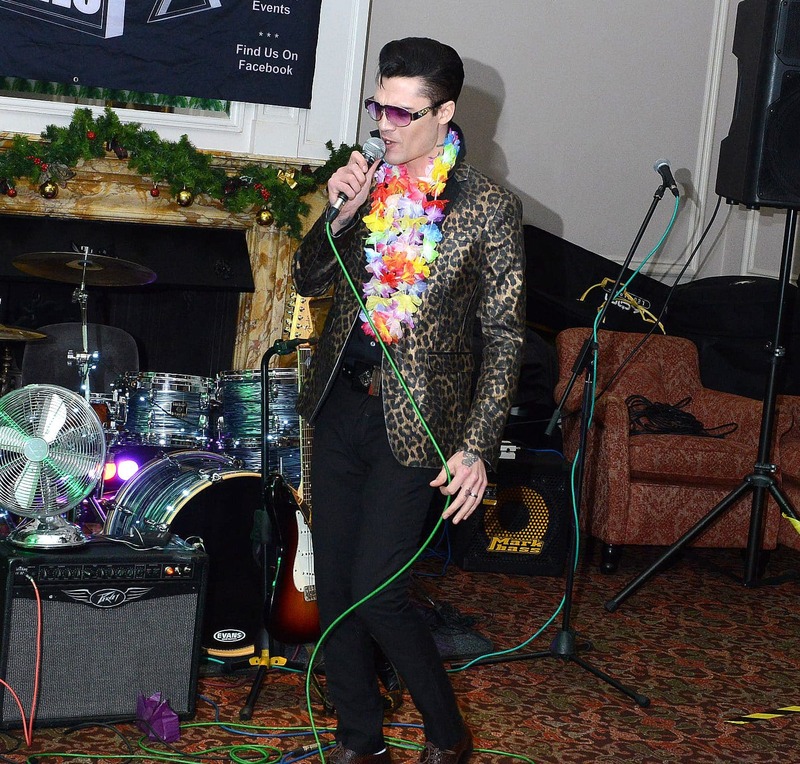 We can even supply you with Singalikes such as Elvis and Show Girls to really add to your Las Vegas themed party. Bring Vegas to you with a huge selection of Fun Casino tables available to choose from, from Roulette, Blackjack, Craps, Poker, Texas Hold ‘Em, Red Dog, Wheel of Fortune and Higher or Lower. Our Fun Casino all come with casino chips, croupiers and personalised fun money. 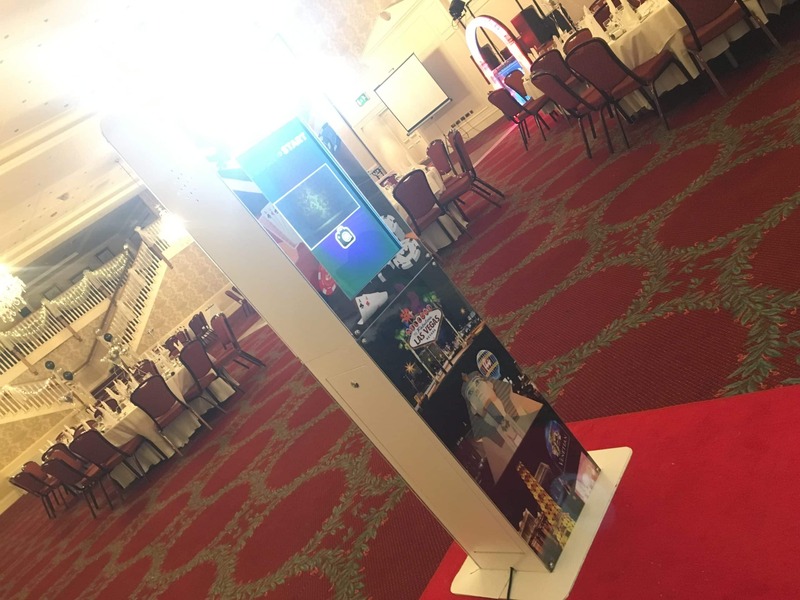 The Vegas Selfie Pod is a big hitter at Las Vegas nights, keep the memories along with the photographs of your night with our personalised Vegas print-outs and Vegas themed panels. 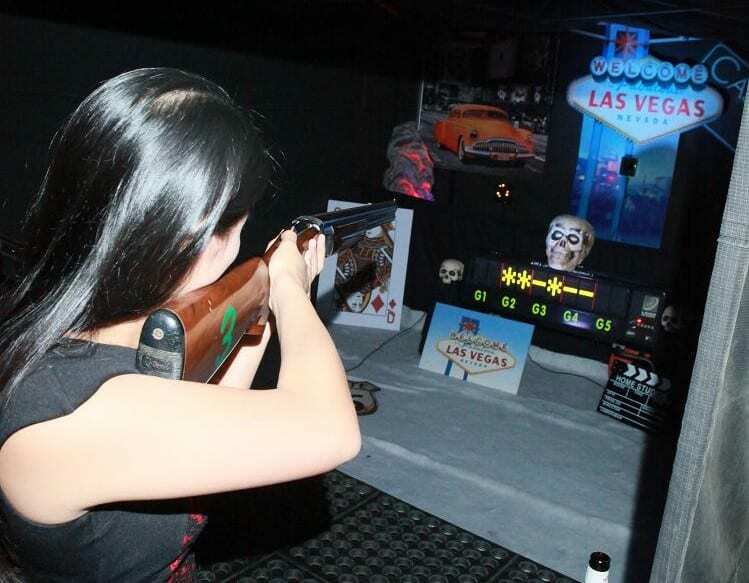 Shooting is a big deal in Las Vegas, bring our Las Vegas themed Indoor Laser Target Shooting gallery to your next event. Using 5 Laser Sport de-activated shotguns, compete against each other in hitting as many LED targets as you can in a limited time. Money, money, money! 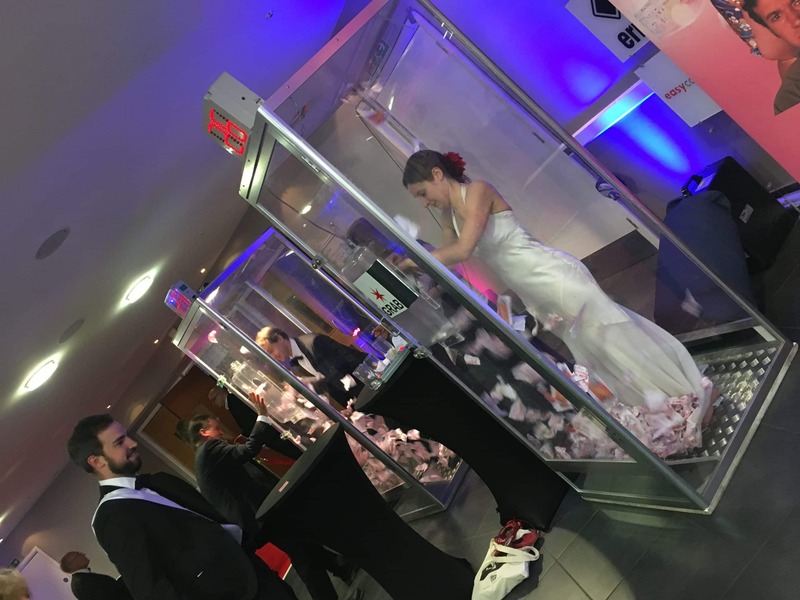 Try and grab as much cash as you can in our Grab A Grand Machine, great fun for all ages and a perfect form of entertainment for any Vegas night. Add our Cocktail Mixing to your Vegas evening, choose from a selection of cocktails and our mixologist will make it in front of your eye, alternatively give it a go yourself and make your own unique cocktail.